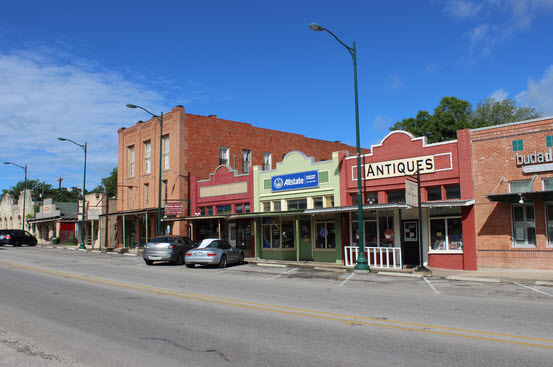 Buda TX is a lovely, small town south of Austin metro. It is located conveniently off the I-35 and about midway between Austin real estate and San Marcos TX real estate. Its location alone affords Buda real estate plenty of attraction for residents and those looking for a hometown feel away from it all. The community, its neighborhoods and homes garner plenty of attention. Homes for sale attract a broad spectrum of buyers across age groups and family sizes. Buda is characterized by both semi-rural and country living. It offers both small town charm and city amenities. Buda homes for sale are desirable because residents get the best of both worlds. Buda is in close proximity to Austin and serves as a commuter town for those who work in Austin. Growth in residential features and local conveniences serve up plenty of appeal for living in the community. New home options add to the benefits of small town living, with an accent on modern amenities. Buda homes for sale bring suburban, countryside living to a whole new level in south Austin, from cozy bungalows to large estates and everything in between. Quality, value and reasonable pricing come as a standard. The town generates plenty of interest from a variety of people, including families with children. Prospective homebuyers are sure to enjoy the added benefit of family-focused neighborhoods and great schools. Buda real estate lies within the excellent Hays Consolidated Independent School District. Much of the town’s residential growth can be attributed to more commercialization in this particular area, along the I-35, such as Cabela’s Sporting Goods Store. Ample services, shopping, restaurants and other amenities are all nearby Buda homes for sale. Buda is great for those who want a variety of conveniences in close proximity. There are several parks for outdoor recreational fun. These parks include Bonita Vista Park, Green Meadows Park, Whispering Hollow Park, Garlic Creek Park Bradfield Park and the Buda Sportplex. Throughout the year there are several events hosted. The Downtown Buda Farmer’s Market and the First Thursday/Art Around Town events happen all year long. There are also seasonal events such as Hill Country Flower Fest, Louisiana Swamp Thing & Crawfish Festival, Buda Lions County Fair & Wiener Dog Races, Red, White ‘N’ Buda Independence Day Celebration, Movies in the Park, FireFest, Buda Fine Arts Fest, Boo-Da Halloween, Budafest and Buda Trail of Lights. Buda homes for sale are in a family-oriented city making it a great place to put down roots. If you are interested in viewing Buda TX real estate, please reach out to McNabb and Co for a professional real estate experience. Find Buda Real Estate, Including Homes for Sale and Lifestyle Info. New Duplex Subdivision under construction. 11-foot ceilings in living room, 10-foot ceilings in master bedroom, stained concrete flooring, granite counter-tops, refrigerator, dishwasher, range, microwave, 42” upper kitchen cabinets, 10 X 8 optional covered patio, full sod and sprinkler systems, 10-year builder warranty. Excellent for 1031 tax free exchange. Rent ready at time of closing. Monthly rent of $1550 is recommended but not guaranteed. New Duplex Subdivision under construction. 11-foot ceilings in living room, 10-foot ceilings in master bedroom, stained concrete flooring, granite counter-tops, refrigerator, dishwasher, range, microwave, 42” upper kitchen cabinets, 10 X 20 covered patio, full sod and sprinkler systems, 10-year builder warranty. Excellent for 1031 tax free exchange. Rent ready at time of closing. Monthly rent of $1595 is recommended but not guaranteed. Pictures of inside are from a previous Model Home.